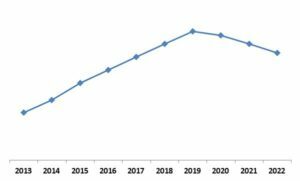 According to a new report Europe Virtual Training & Simulation Market (2016-2022), published by KBV Research, the Europe Virtual Training & Simulation market is expected to attain a market size of $79.7 billion by 2022, growing at a CAGR of 16.1% during the forecast period. The growth would be attributed to factors such as supportive government initiatives, increased spending on e-learning, and rise in adoption of game-based learning solutions. 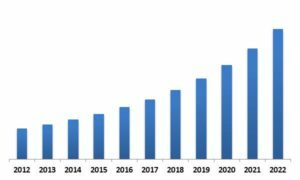 The Hardware market dominated the Europe Virtual Training and Simulation Market by Component in 2015, and would continue to be a dominant market till 2022. The Software market is expected to witness a CAGR of 21.2% during (2016 - 2022). The Entertainment market dominated the Europe Virtual Training and Simulation Market by End User in 2015, and would continue to be a dominant market till 2022. The Air-Borne market dominated the Europe Defence and Security Virtual Training and Simulation Market by Type in 2015, growing at a CAGR of 12.6% during the forecast period. The report has exhaustive quantitative insights providing a clear picture of the market potential in various segments across countries in Europe region. The key influencing factors of the Europe Virtual Training & Simulation market have been discussed in the report along with the elaborated company profiles of BAE Systems, CAE Inc., L-3 Link Simulation & Training, Cubic Corporation., ON24, Inc., QinetiQ Group plc. , ANSYS, Inc. and Kratos Defense & Security Solutions, Inc.